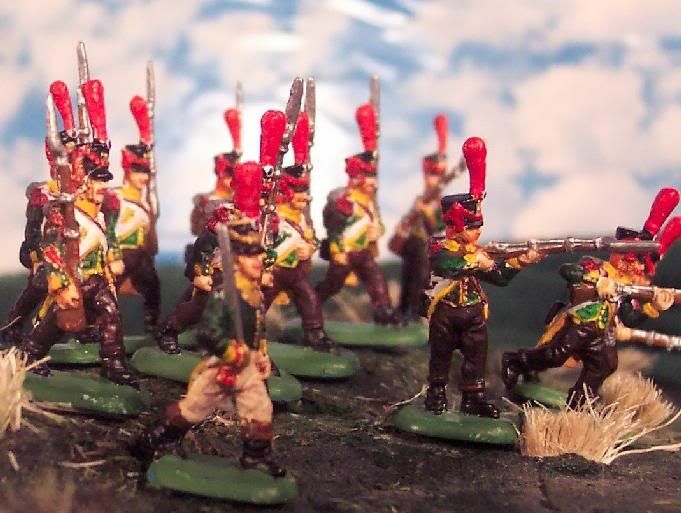 Hello, Attached are eight (8) photos of a test shot of HaT 8167 - French Napoleonic Middle Guard. 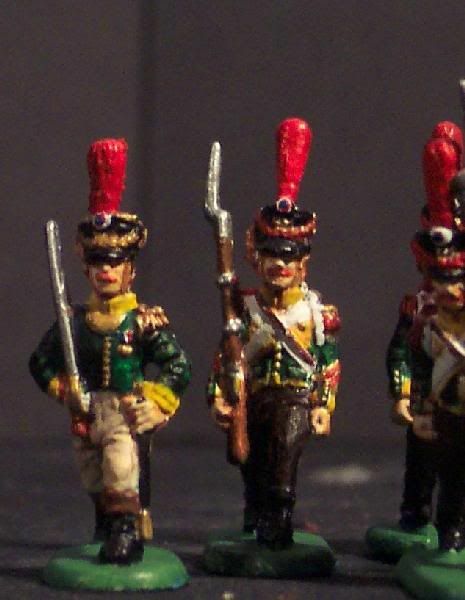 I decided to paint these figures as the 3d Foreign Regiment (Irish). 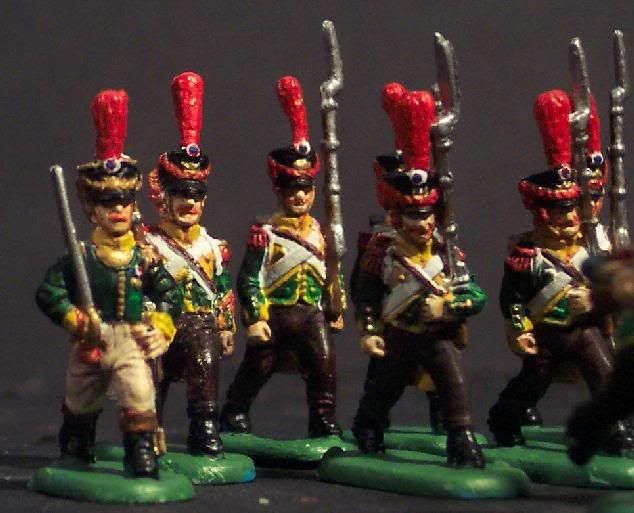 These are Napoleon's Wild Geese, the Irish mercenaries who were intended to be the core of the ill fated invasion of Ireland. The original Wild Geese of the 17th c. were the Catholic aristocracy of Ireland, who fought in the Jacobite Wars and served the Bourbons in France and Spain. 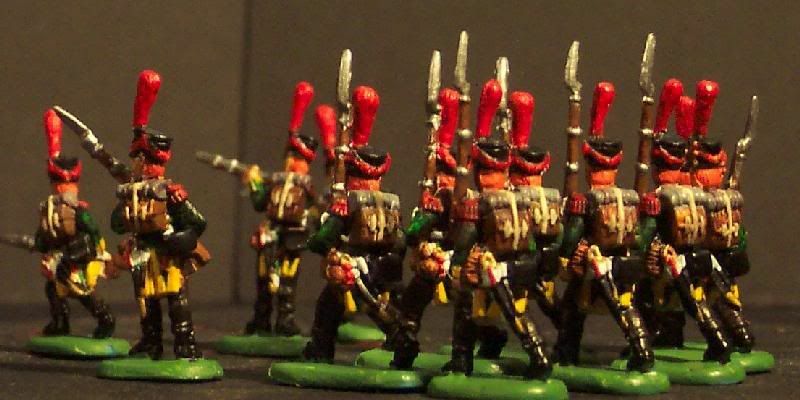 When the fortunes of the Bourbons went to pot, the traditional hatred of the English led many Irish mercenaries to join Napoleon's Grand Army. In spite of the British Naval blockades, Napoleon never entirely abandoned his plan for Ireland and he kept the key to that plan in his pocket to the bitter end.